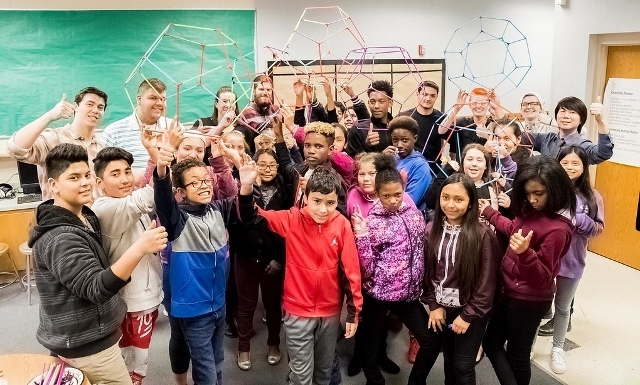 IDSA Member TJ Kim, the faculty advisor to the IDSA Student Chapter at Purdue University, has announced its Industrial Design Department has received a grant to help enlighten elementary student across Indiana about industrial design. The grant from IN-MaC—Indiana’s Next Generation Manufacturing Competitiveness Center—will bring so-called Wonder Labs to 16 schools. Kicking off the program on April 4, 2017, Associate Professor Kim and his students held a day-long workshop to introduce 3D printing to about 140 youngsters at Sunnyside Elementary School in Indianapolis. Kim and the ID program at Purdue’s Rueff School of Visual and Performing Arts will offer an education session to the teachers, and to the students’ parents, at Ruckus, an Indianapolis makerspace and business incubator that provides design and prototyping resources. The workshop also will be sponsored by Design Bank Indy, a group emphasizing entrepreneurship and design. Ronald Steuterman, managing director for IN-MaC, says bringing the design discipline together with manufacturing faculty from the College of Engineering and the Purdue Polytechnic Institute realizes a key element of the original IN-MaC proposal to the state of Indiana to create interdisciplinary teams to address manufacturing challenges in a systematic, holistic manner. Photos courtesy of Trevor Mahlmann. See more about Wonder Labs in The Exponent and on WISH-TV News. Learn about Purdue's design programs in this video. And in this IDSA video, see why Kim is a member of IDSA.